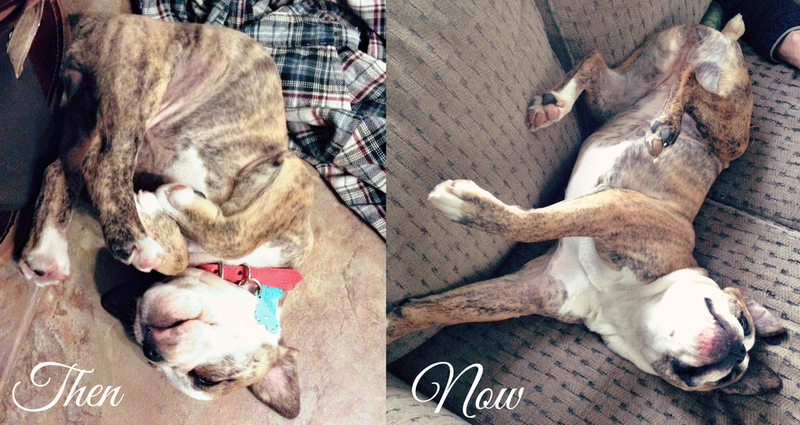 A while back I was sent a link to check out these super cute before and after photos of pets and and their owners. Pretty ambitious to re-enact or pose the exact same way as years prior. I unfortunately have not had the chance to try this out with my smooshy faced OEBD BUT I do have some now and then's of very similar poses of FrankNFat and Abbey that I have taken through out the years. Eventually I will try to sneak in a cute picture of Abbey sleeping with her tiny dino. Yes I still have it. I took it away from her early so that she wouldn't eat it up.